Industries constitute more than 45% of the electricity consumption in India. The landed electricity tariff for industries on an average is 6 Rs./unit. (Industries have two types of customers, viz., LT and HT. LT is 400 V and below and HT is 11 kV and above. Bulk of the industry buyers of electricity are in HT segment. The highest tariff is in Maharashtra at Rs.7.48/kWh. At second spot is Delhi where the tariff for HT customers is Rs.7.25/kWh. The tariff for LT customers is higher but their share in the overall consumption is only 6% in India as compared to 21% for HT. In LT segment as well the highest tariff is in Delhi (Rs.9/kWh) followed by Maharashtra at Rs.7.60/kWh and UP at Rs.7.30/kWh). Bulk of electricity in India is generated from power plants based on coal. As the cost of coal, transportation, labour and disposal of ash increases y-o-y, an annual increase of 4% in electricity tariff is expected and the same has been the trend historically too. Industrial and Commercial consumers will continue to cross-subsidize domestic and agricultural sectors. Most industrial consumers have large connected loads and many of them partially or fully use their power requirement through diesel generators. These industries have big enough rooftops suitable for 100-300-500 KWp solar installation. They also have a variety of loads, some of which cater to the process requirement which cannot be compromised and others are office and building loads. 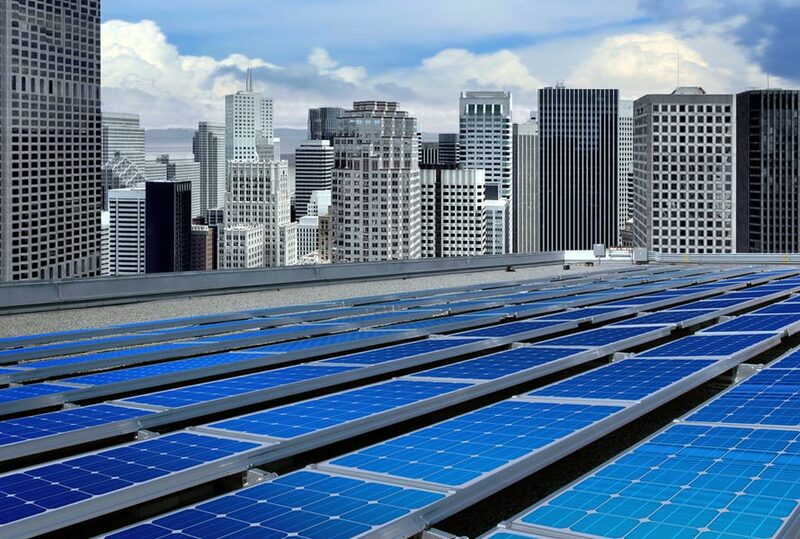 A rooftop solar plant can be connected to the LT side or through a smart controller to diesel generator which either reduces the total import of electricity or reduces consumption of diesel or both. On top of above, it is the location of the consumer which will decide the solar yield and hence the economics. Besides economics, it also helps in energy security and sends a message to the customers of industry on its readiness to adopt environment-friendly technologies. While deciding on the capacity to be installed, 25-30% of the overall average load is the safe bet. Some industries are reluctant to spend capex and often want solar power under open access. This alternative shall be evaluated in totality as the open access charges are normally to be paid by the consumer and may upset the economics of solar vs. grid power. Also, some discoms are reluctant to grant permission for solar installation as they do not want to lose prized customers. Electricity Duty has to be considered while evaluating the financial proposal as despite not using the state grid this charge is payable on each unit of solar electricity consumed by industry. Some states have waived it for solar under their policy for a definite period though. This article has been contributed by Dr Amitabh Verma, CTO at Solar Power Aditya Birla. He has lead projects in Gujarat, Rajasthan, Telangana etc adding up to a capacity of 80 MW in total. He is a dear contributor at MYSUN as a guest author. Could you please elaborate a little more on your query so that we can get our experts to answer? You can also, directly reach us out by calling us using the numbers on our Contact Us page. So I think businesses should think about using renewable energy to power their facilities.